Disclosure: I received the Loxia Lens-Grip for free. 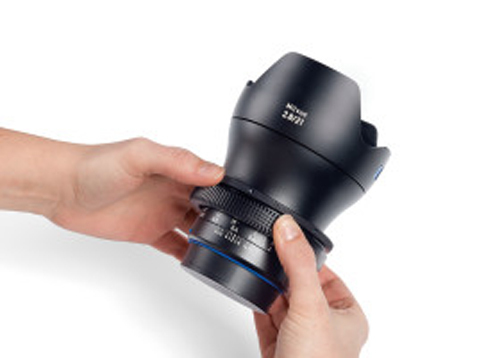 The Zeiss Loxia lenses have a sleek design with constant diameter of 62.5 mm, but unlike most other lenses there is no non-moving part to grab which makes changing lenses a bit of a hassle. Personally I have usually grabbed these lenses by the aperture ring (set to f/22) to mount the lens and by the focus ring (set to infinity) to unmount the lens, but this is far from ideal. 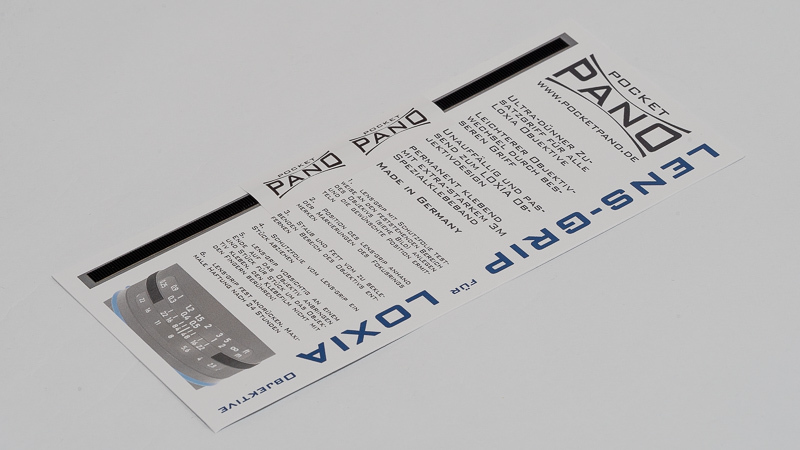 Lutz from PocketPano thought the same and so he came up with the “Loxia Lens-Grip”. He contacted me asking whether I think people might be interested in this product and I immediatley wanted to try it out. It comes with an instruction sheet (German and English) and with these instructions it is very straight forwarded to apply it. It does also not affect the operation of aperture ring or focus ring. I have now used it for a few weeks and it makes a big difference, the handling is greatly improved. The manufacturer claims you can remove the Lens-Grip without trouble and I confirm this is in fact the case. You end up with a bit of glue residue that is easily removed and won’t leave any traces. Whenever I was out shooting these last weeks and changed lenses, everytime I mounted or unmounted a Loxia lens I had to tell my girlfriend how good it is (you guess she would have complained, but as she was also using Loxia lenses she wants some herself now). I don’t want to use any Loxia lens without this anymore. If you want one you can get it for 12.90 € on amazon.de (affiliate link) or for 9.90 € directly at the manufacturer’s homepage. As the latter is cheaper I recommend buying it there. If you want to support this blog you can always use one of our affiliate links before you buy anything, we will get a small commission, and it won’t cost you anything extra. Interesting, thank you! How did you remove the glue remains? To me it would be also interesting if the glue is resistant to cold temperatures (say -20°C) or if the lens grip peels off then. I removed it with my thumb, nothing else needed. I will also ask for the stability in cold temperatures, I could only test ~-5° C so far. There seems to be no loss in adhesion down to -40°C (cycle test). 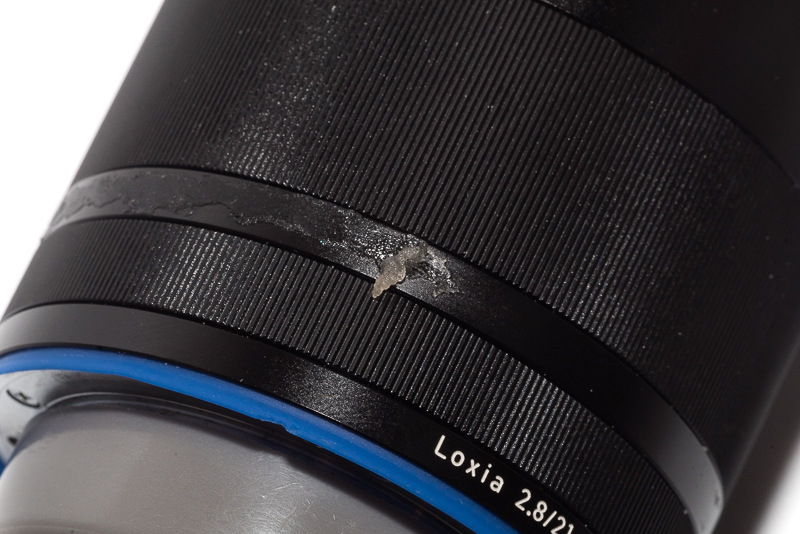 In my tests, the Lens Grip never peeled of accidentally. It really gets part of the lens barrel. For removing the glue, like Bastian said: just peel it off with your thumb. Is there an easy way to order this for people living in the US? For the US, please choose “Vereinigte Staaten” as country (unfortunately the shop system is in German only). Glad I read this even though I don’t have any Loxias (fingers crossed for a Nikon Z adapter!). But I do have a Voigtlander 180/4, which also lacks something to grip. I bet it’ll work, there’s about 5mm of space on the DOF scale band. I’ll find out in a week or two! Update: fit on my Voigt 180/4 is perfect! No trimming required. A big ergonomic improvement, and it looks right at home, I don’t know if a casual observer could even tell it’s an addition. The only thing I’d change is making the bumps slightly higher, they sit ever so slightly below the machined bumps from the aperture ring. Any ideas ? would you recommend it in this case ? I don’t see that glue damaging anything, especially not the painted engravings, as there won’t be direct contact. So yes, give it a try. Finally! These guys deserve a pat on the back. I had an idea as well for MF lenses that would allow you to glue a similar patch at your favorite F stop and a corresponding patch at the F stop marker on the base of the lens. In practice, you could focus wide open and then locate the patch with your index finger in order to stop the lens down very fast. Even a bigger benefit with adapted MF lenses. Prompted by this review I purchased these lens grips for my three Loxia lenses and could not be more satisfied. They go on quite easily and look almost as if the lens came with them. I had to reach down pretty far to recall my high school German lessons (I’m 68 now) to get through the ordering process but it all worked out. Very prompt shipping as well. Hi Jim! Thanks for your comment regarding the ordering process. Now we added the option for automatic translation during the checkout process and hope it helps. Sorry for the german shop system. Looks simple yet excellent! My good friend bought the Loxia 35mm f2.0, i got the chance to test it and decided to buy the grip as a present. Let’s see how he likes it, it looks great! And the price and service is just right. Thanks! I use Cool-Lux follow focus gear rings. 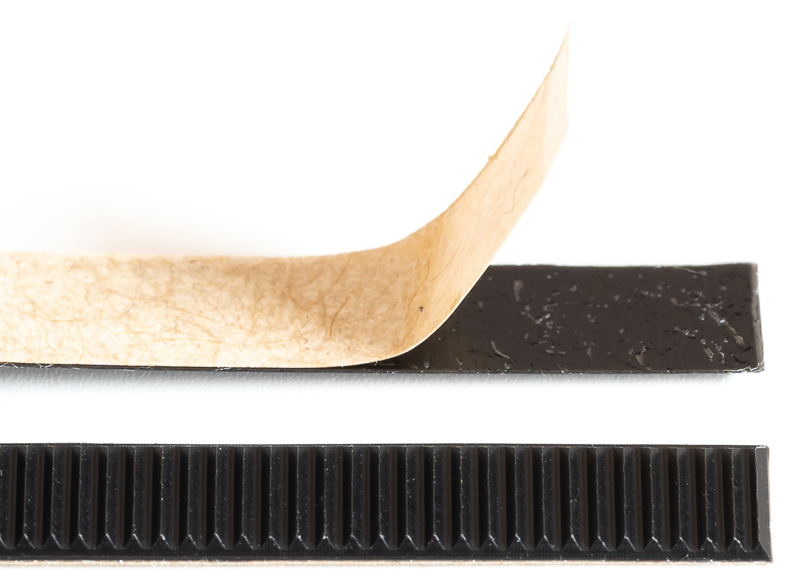 Easy on and off no glue residue…grip vs. ring, no contest…the ring hands down winner. Great for Milvus and Otus as well.